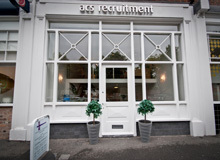 We are looking for a Conveyancing Solicitor/CILEX/Senior Legal Clerk for a busy Wirral based office. The role will include assisting the Team Leader with the daily management of a team and handling a caseload of sale, purchase and re-mortgage files utilising a case management system. Residential conveyancing experience, either working as a Solicitor/Legal Executive/Senior Legal Clerk (if Senior Legal Clerk – needs to be working towards qualification i.e. CILEX) managing own caseload of freehold, leasehold, registered and unregistered titles with minimum supervision. – Attention to detail and the ability to work in a fast paced department. – To maintain high standards in the processing of client work. – Commercial attitude with the ability to achieve agreed financial targets. – Well presented, punctual, confident, and self-motivated. – Flexible in your working approach with the ability to multi-task and prioritise workloads. -To undertake any specified responsibility as delegated by the Team Leader/Head of Department/Partners. – Excellent communication skills, both oral and written. – Ability to provide high quality advice to clients from all sectors across a broad range of issues. – Ability to form good relationships with clients and colleagues and to work as part of an effective team. – Good IT skills including the ability to utilise a case management system.